[GIVEAWAY] Name & WIN a Sudio VASA BLÅ & REGENT ! With the holiday seasons fast approaching, Small N Hot has partnered with Sudio to giveaway a Sudio VASA BLÅ or REGENT worth up to RM 800 / SGD 250 for 2 lucky winners. Click HERE and NAME the product in the photo. TWO winners with the correct answer will walk away with a Sudio VASA BLA / REGENT each. 1. Giveaway starts from 15 Nov 2017 - 25 Nov 2017 (11:59pm). 3. 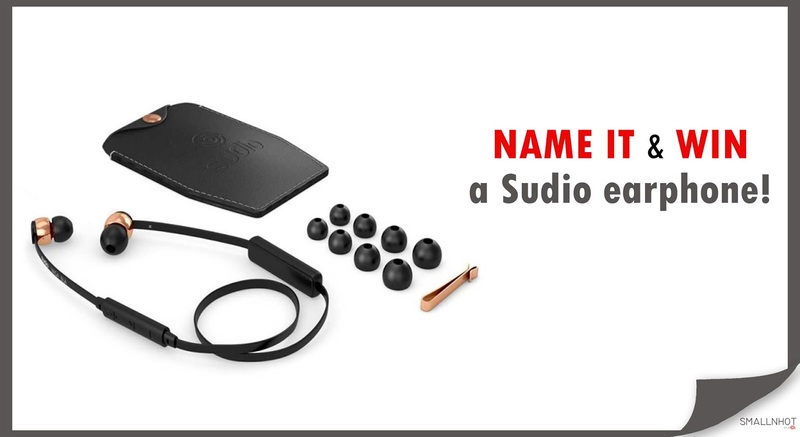 TWO  lucky winners with the correct answer will walk away with Sudio products worth up to RM 800 / SGD 250. 4. First lucky winner will win the Sudio VASA BLA and Second lucky winner will win the Sudio REGENT. 5. Winners will be notified via Facebook Personal Message (PM) and has to reply it within 24 hours, else prize will be revoked and new winner will be chosen. 6. Prize delivery outside Kuala Lumpur will incur standard express postal rates and tax/duty fees that will be charged to the winner .